Students, you have enough on your plate during your time here at SMU. On top of all of the lectures and projects; sifting through loads of e-mails is never an exciting event. 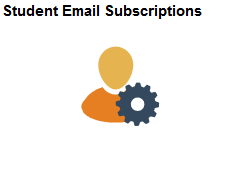 A few years ago we introduced a new and simpler way to manage your e-mail subscriptions from SMU organizations. The new upgrade to my.SMU makes using this service even easier than before! Want to get your inbox under control? Just log into my.SMU and click on Student Email Subscriptions on your Student Homepage. You will immediately be logged into the bulk list management system to manage your subscriptions. Once you’ve selected the mailing lists you like to subscribe or unsubscribe to, remember to click Submit Your Changes. Remember that you will always receive important information that pertains to safety, health or vital information for the campus community in your inbox. You cannot unsubscribe from these messages.